How much is 5 years in elephant years? 5 years ago today, in January 2014, our partner and customer at Jules Verne Technology Institute in Nantes reached out to me on a Friday night. They needed a 3D model by Tuesday the following week for an event where they would inaugurate their new FabLab. I reached out to my colleague Samuel, I knew he was still in the office. It was almost 7.00PM, I thought I should not ask for too much. I had met with Samuel Bernier during the summer of 2012, in Montreal at a Mini Maker Faire. I knew his work for a few months, after he published Projet_RE earlier that year. I travelled to Montreal with a couple of robots such as the EggBot for a weekend of geekness. Samuel told me he wanted to come back to Paris where he had been studying at ENSCI, and where his girlfriend lived; I said “let me know when you’re in town, I’ll see what I can do”. After I met with the Makerbot team in New York at World Maker Faire in September that year, I called Samuel. I had just spent the week end working with Michael Curry on the SketchUp booth. On the Sunday night of the show, RJ Wafer invited me to visit the 3D printing company’s headquarter in Brooklyn, “we need a distribution partner in France” he said. The following day, after I signed a distribution agreeement and bought my first MakerBot, I called Samuel from the car that was driving me back to JFK. Hey Sam, are you still looking for a job in Paris? I might have something for you. A few days after we spoke, he joined le FabShop as Creative Director, Head of Design. Probably one of the best decision I made in my career. For the next few years Samuel delivered an impressive number of projects for our customers and partners, we also pushed on some of our original ideas on design, materials and applications for 3D printing. In the summer of 2013, Fleur Pellerin, French Minister for Digital Economy, had launched a FabLab call for tender. I had been talking for months with the great team at Jules Verne Technology Institute in Nantes about opening a makerspace on their site. I offered to help them with their application. In November 2013, the result came in; there were 14 winners of the governement grant. We won 2. One for our project, le FabClub in Paris, one for le FabMake in Nantes. When I called, Samuel that Friday night, he only asked me one question: “What’s iconic of Nantes?”, I said “the Elephant”. 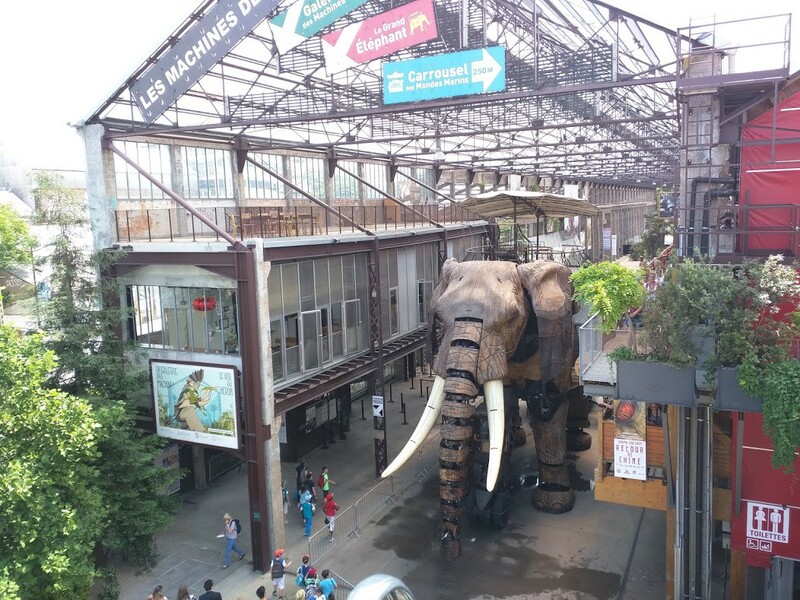 The Elephant, at Les Machines, Nantes. A giant, two stories tall mecanic elephant. Built by a street teater company La Machine, that lives in the isle of Nantes. Samuel told me “got it, I am on it now”. Later that night he told me he came out with an idea and he was already printing a test. The next Monday we shipped the 3D files to the team at Jules Verne Technology Institute. They were thrilled with the design, and granted us the right to use it for ourselves. 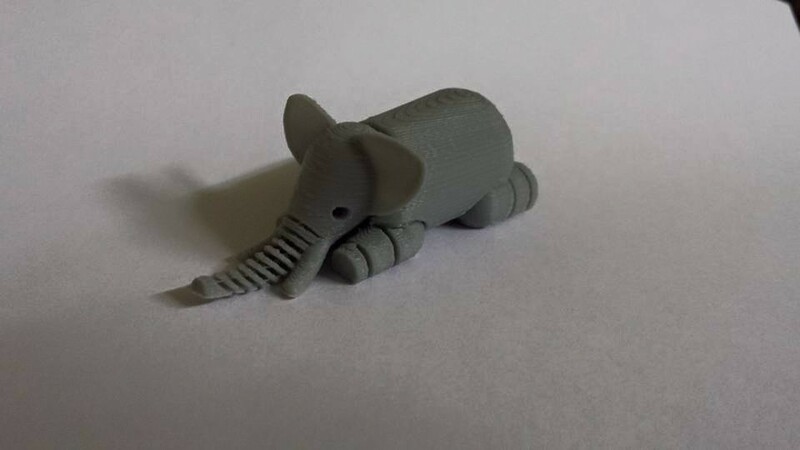 On February 25 2014, Samuel uploaded it to our Thingiverse page, Makerbot’s 3D print files repository, where we shared our Open Source models with 3D printing enthousiasts. The Elephant at Pavillon de l’Arsenal, Paris. It was instantly a sensation. 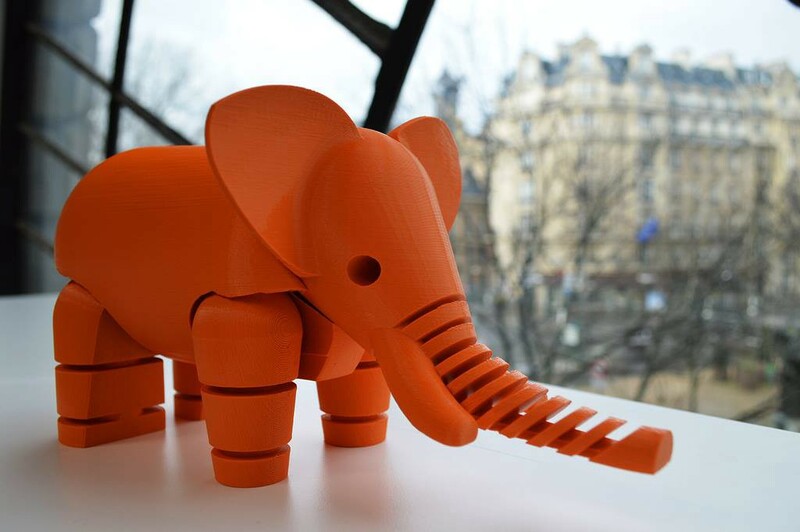 We started receiving messages from all over the world, people were printing the elephant in all sizes and colours. 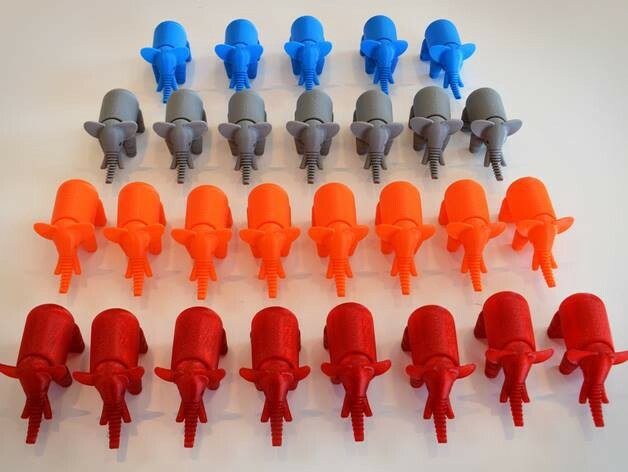 The elephant was printed in all kind of sizes and colours. The 3D model is magic. It prints flat on the 3D printer bed, then unfold to stand on its legs, and it’s fully articulated; with 0 support needed, and 0 infill material. Robert Scoble visiting us in Paris at le Fabclub, called the Elephant “the Hello World of 3D printing”. After the Utah Teapot and the Stanford Bunny, it’s the third iconic 3D model of history. The world divided in two. 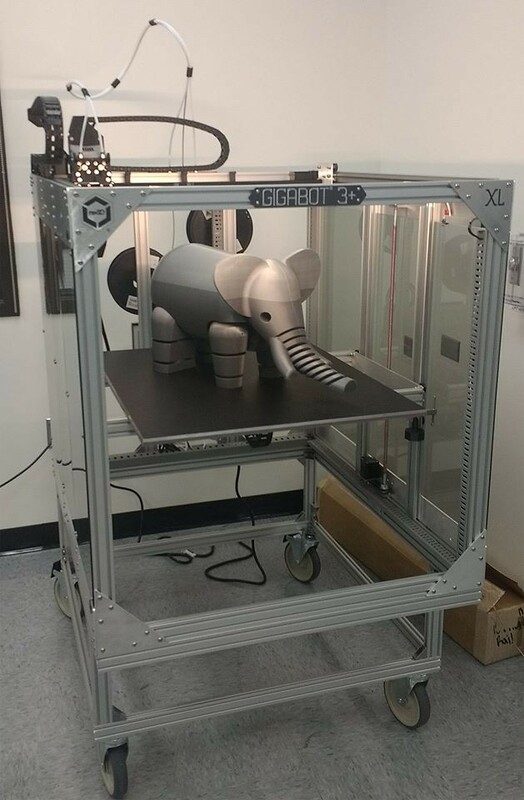 The 3D printers that could print the elephant, and those who could not. 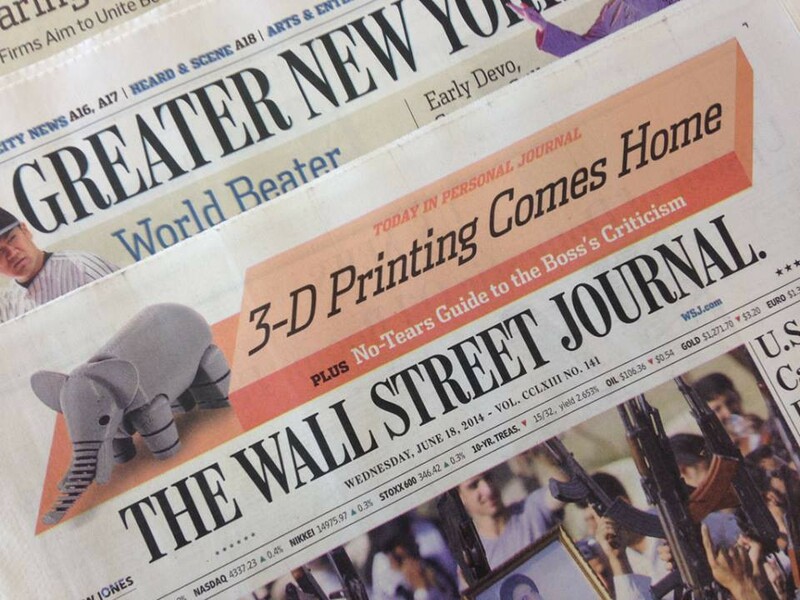 A few weeks later, our elephant made it to the front page of The Wall Street Journal to introduce MakerBot latest model. It was the beginning of a journey around the world. It’s been used by every 3D printing company to calibrate their printers, including HP when they presented their new fusion-jet printing technology. 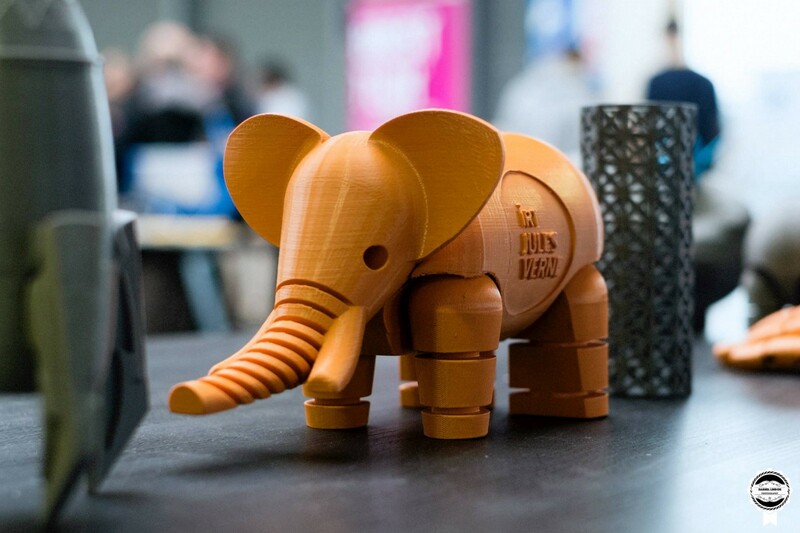 Ultimaker printing le FabShop elephant. It’s been licensed by Google for a Chromebook add in 2015 “Chromebook for Everyone, Everywhere”. 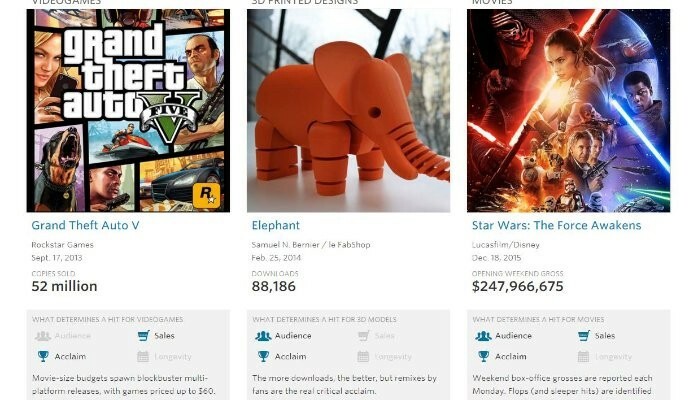 In December 2015, it was featured in The Wall Street Journal in a piece called: “Anatomy of a Hit”, next to GTAV and Star Wars: The Force Awakens. The elephant turns 5 today. It is probably the most 3D printed thing in the world, and definitely one of the most downloaded object ever. 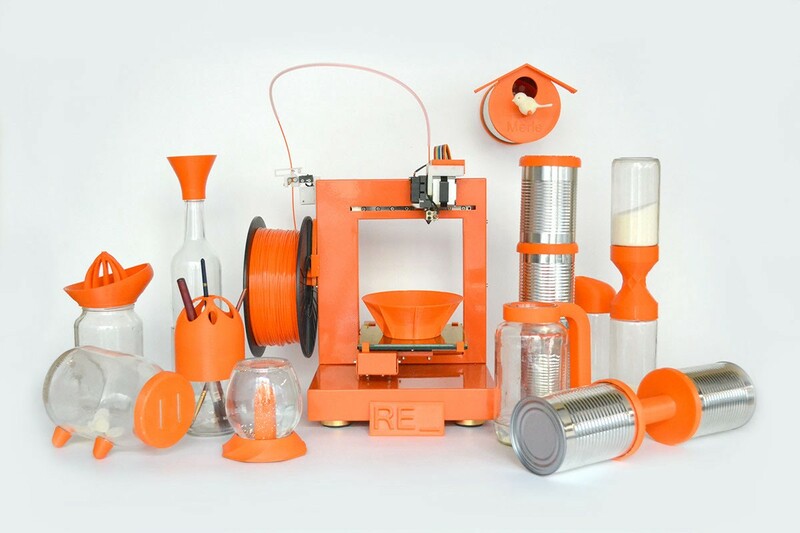 It has inspired many to try new things in 3D printing. 5 years after, le FabShop has shut its doors in June 2016. Samuel got married, he is now the Creative Director at Groupe OnePoint in Paris. The rest of the team has evolved in new opportunities. After I launched Techstars in Paris in 2017, I am about to join a new project I am really excited with. 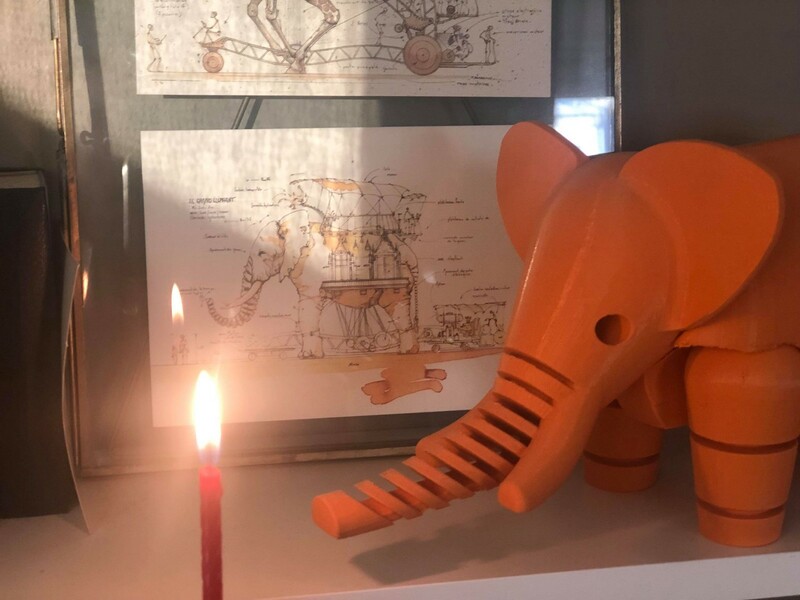 The Elephant and the rest of le FabShop contributions are our legacy to this community. There will be many many more prints of it.